You don’t have to wander far on the show floor to find some Internet of Things (IoT) invention that is destined to transform customer experiences, streamline supply chains, reduce shrinkage, or improve employee productivity and safety. After nearly a decade of “somedays”, IoT is here today in a big way. Here are several solutions that stood out: Cradlepoint customer and Johnson Controls subsidiary Sensomatic Solutions (formerly Tyco Retail Solutions) demonstrated sensor-driven and data-powered solutions for loss prevention, inventory intelligence, and store traffic insights. Cooler Screens has trials underway, connected by Cradlepoint, for their smart cooler door that integrates an intelligent, sensor-laden screen. Among its many talents, it makes the underpaid stockboys look like maniacal perfectionists – every product is perfectly displayed on the screen as if stocked by the manufacturer. But what makes this screen cooler is its built-in computer vision technology that can demographically identify an approaching person and display ads-of-interest and make suggestions based on your selection—think: do you want fries with that burger?! It seems every other magazine you read these days is proclaiming the death of brick and mortar retail. It looks like someone forgot to tell the retailer community at NRF. From American Eagle’s interactive fitting rooms to help shoppers get just the right style and fit to Kroger’s digital shelves that highlight items on your shopping list, brick and mortar stores are being transformed into interactive and immersive shopping bazaars that facilitate and enrich the customers’ experience in ways that online can never replicate. As Millennials usher in the “experience” economy, forward-thinking companies are transforming their stores to prepare of the next generation of experience-based retailing. It’s not just the front of the house that is getting all of the tech-transformation, a lot of the focus at NRF this year was about automation of the supply chain and delivery-chain. The goal of all of these new innovations is to reduce the number of human touchpoints as products move from the warehouse to customer's hands. Everything from next-generation automated check-outs to fully-automated stores, autonomous distribution and customer delivery vehicles, and technologies that enable the average retailer to achieve Amazon-like warehouse automation and efficiency. It’s clear to anyone attending this year’s NRF that the rate of innovation in the retail space is staggering. It’s a battle royal between the forces of disruption and the power of innovation with IT teams on the front lines. While the adoption of new technologies and business models will have far-reaching effects on IT organizations, there are several common threads that have already appeared. Cloud and connectivity are the engines of transformation. 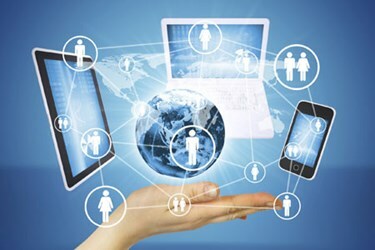 All of the new and exciting technologies are all almost universally powered by the agile, pervasive and elastic nature of public clouds—like IBM Watson, Amazon AWS and Microsoft Azure— and wireless connectivity in the form of LTE, WiFi, Bluetooth, and NFC. The emergence of 5G and Private LTE will only accelerate things.